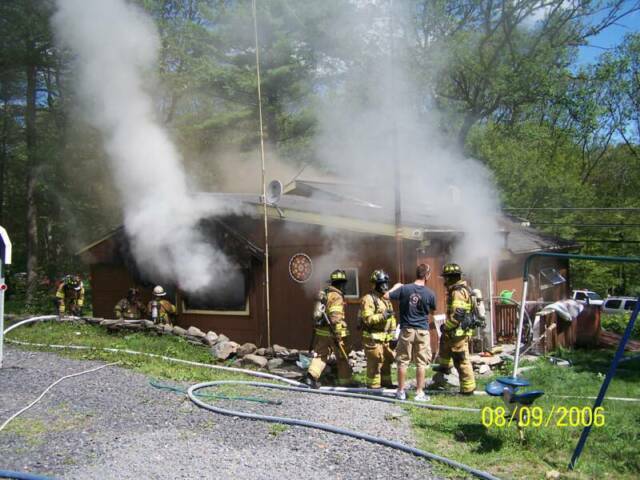 7/6 thru 7/26/06 - DINGMAN TWP -Since the first week in July, the members of Station 39 have become familiar with their role during responses to Dingman's Box 26-04 a.k.a. Gold Key Estates. A structure fire on July 7th inside this lakefront community became the start of a series of 7 susipicious related fires damaging many newly constructed homes, 5 of which reached a 2nd alarm and Station 39 filled out the box. Upon a 2nd alarm in box 26-04, 39 Tanker relocates to Station 26 and if a 3rd alarm is required which occured on July 21st, 39 Tanker responds to the scene while 39 Engine relocates to Station 26. 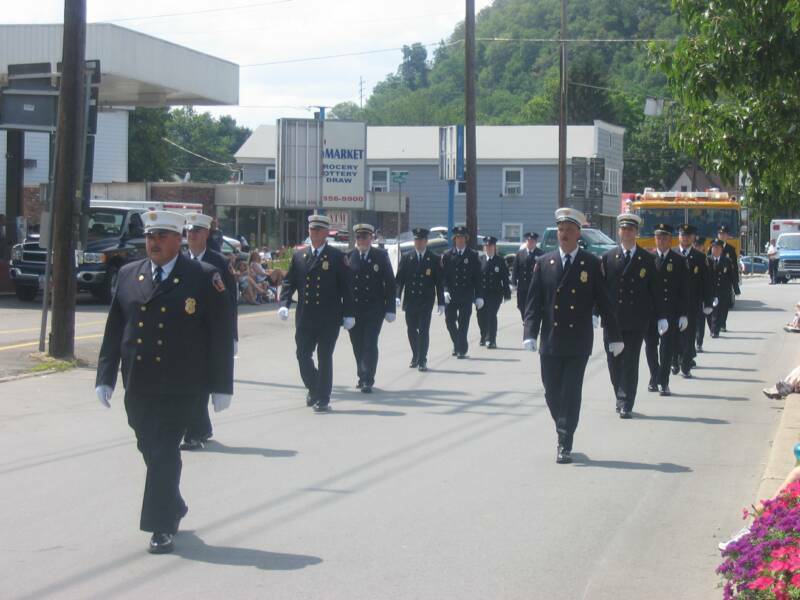 7/8/06 - PORT JERVIS NY - On Saturday, the members of Station 39 participated in Port Jervis's Annual Fireman's Parade. 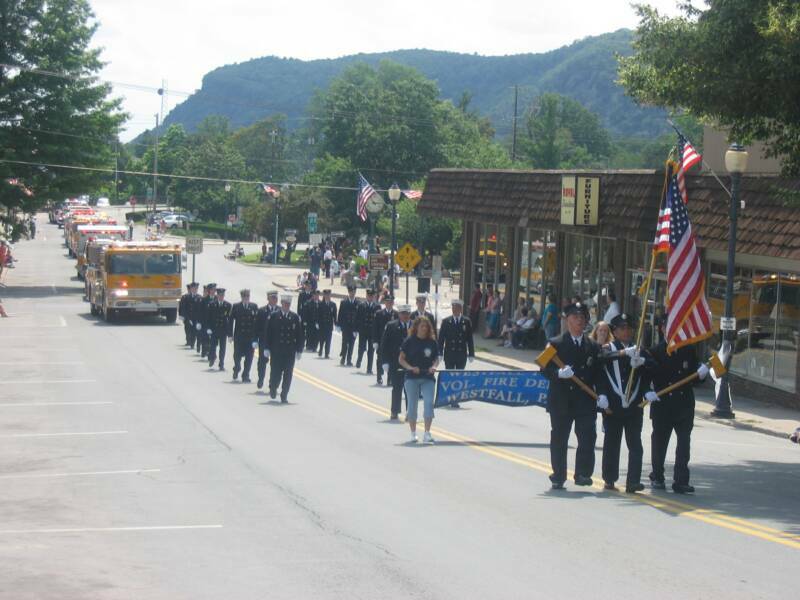 Twenty members took to the parade route led by the a color guard and banner girls, followed by the department apparatus. 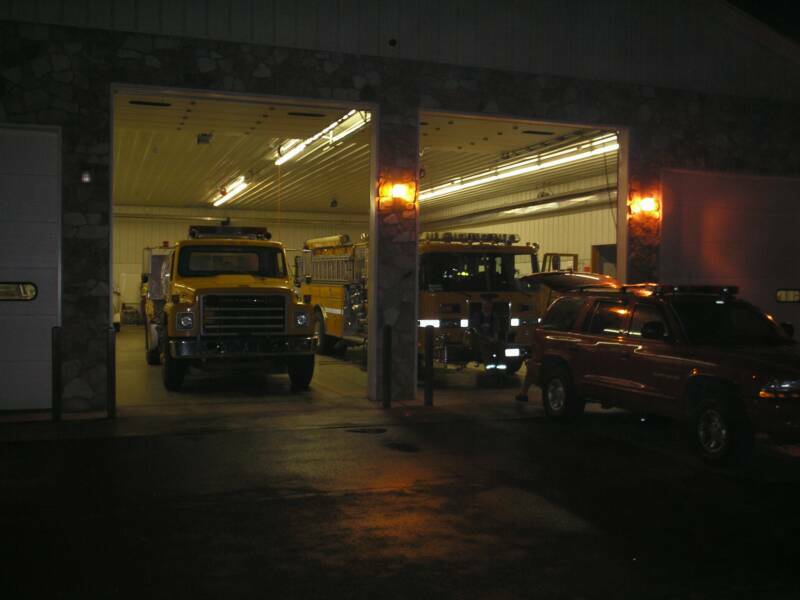 7/5/06 - WESTFALL TWP - At 05:05, both Fire Station and Squad 39 were alerted for an Auto Accident on Interstate 84 reporting an overturned vehicle with injuries. Engine 2 and A-398 turned out. Units arrived to find a Jeep Wrangler overturned and one occupant with minor injuries. Units returned to service at 05:58. 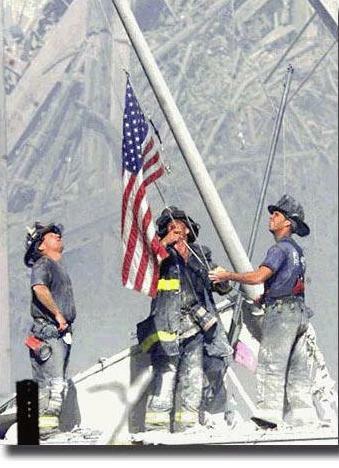 8/13/06 - WESTFALL TWP - On Sunday, the members of the Westfall Twp Vol. 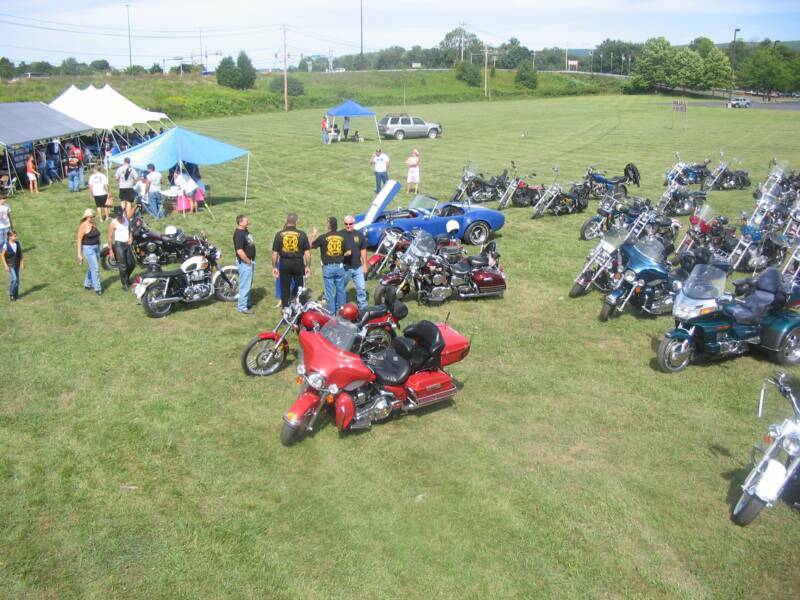 Fire Department kept Anthony "Bubby" Salvati's memory alive by sponsering the 4th Annual Bub's Jokers Poker Run. 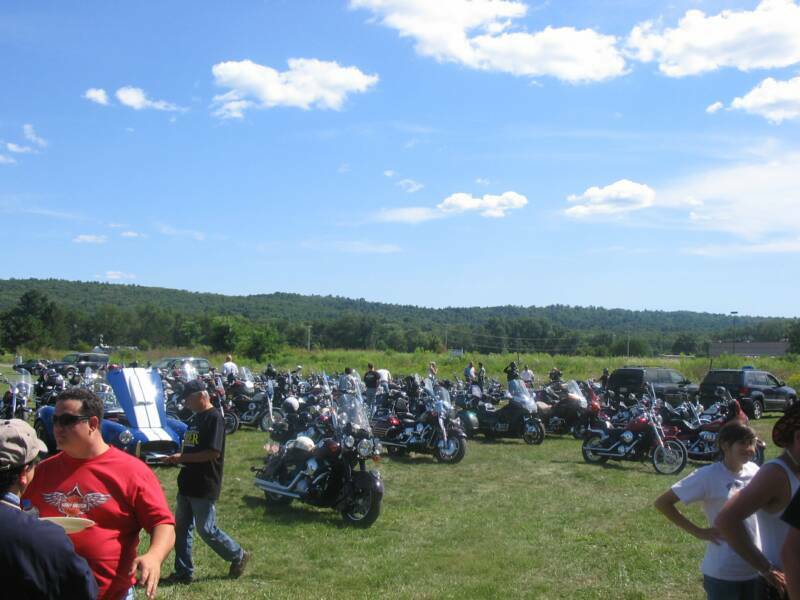 Over 120 motorcylces arrived at the fire station early to enter the event which ended with a B-B-Q and Pig Roast at the Hunt Property near the Westfall Car Wash. Several trophies and a cash prize were awarded and no one went home hungry. Thank you to all our many sponsers. 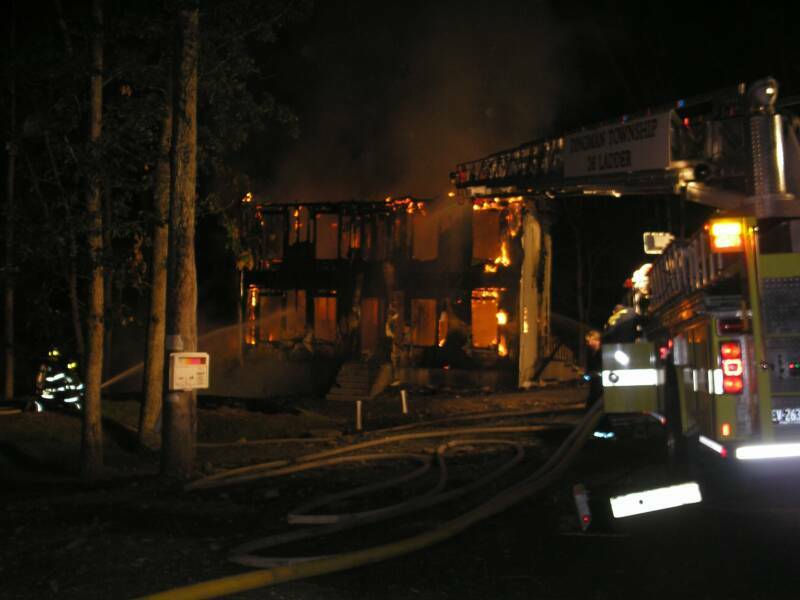 8/9/06 - DINGMAN TWP - At 10:45 while returning from an automatic fire alarm, Station 39 was alerted to assist Station 33 (Milford) at the scene of a structure fire. 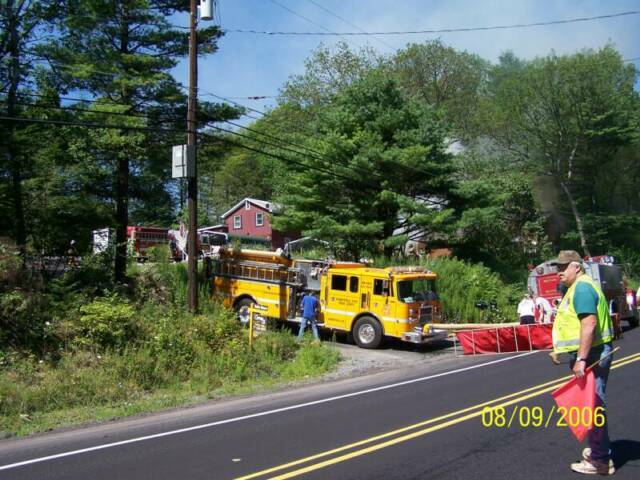 Engine 1 and Tanker were in service simultaneouly to the dispatch. Within minutes of the alert, FP Lieut. Helms (39-11) reported on scene and updated incoming units of a working fire. 39 Engine 1 arrived shortly behind Station 33 providing a reverse lay from the scene down the drive way where a dump site was established while the members assisted 33 advance 2 lines on the fire. Units returned to service at 13:30 before heading out again on a brush fire. 9/19/06 - WESTFALL TWP - At 20:14 hrs, Both Fire Station and Squad 39 along with Medic 403 were alerted for a motorcycle accident on Rueben Bell Drive in front of the Home Depot Store. 39-1 arrived on scene and advised that he had a motorcylce vs. bear MVA and requested Medevac on stand-by for the motorcylcist who sustained a severe leg injury and the WildLife Officer for a fatally injured bear. Command requested E2 into the scene to assist EMS and E1 to standby for a possible landing zone. A-398 & Medic 403 packaged the patient for transport to a local hospital and stood down the helicopter. All units returned to service at 20:49 hrs.